Looking for how to use sparklers to celebrate America’s birthday? These Fourth of July party ideas will help you celebrate the right way with sparklers. Use these creative sparkler ideas to make your red, white, and blue celebration with family and friends magical. Star Sparkler Holders: Make star cut outs to hold and give your sparklers a creative twist. Simply use some star templates, duct tape, and scissors to create a DIY sparkler accessory. This fireproof star will also keep your fingers safe as well. Sleeves, Tags, and Envelopes: Add some fun sleeves, tags, or envelopes to hold your sparklers for your guest. You could add some fun facts about America, the year America became independent (1776), or anything else patriotic! Pastry Display: Are you making some yummy pastries for your Fourth of July party? If so, add some flare to your cupcakes or cake by adding some sparklers. Red, White, and Blue Party Bucket: Making a DIY red, white, and blue painted galvanized sparklers display bucket will be a creative way to hold goodies for your guest. Set up party buckets with small American flags, sparklers, bubbles, or any other accessories that will keep your guests entertained! Fourth of July Sparkler Photography: Using sparkler photography is the best way to get use out of your sparklers this Fourth of July! Get some sparklers, a DSLR camera, and some people to take some patriotic photographs. 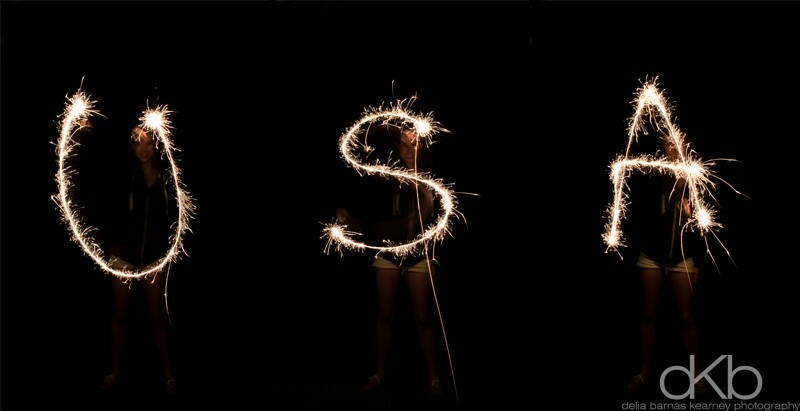 Will you be using sparklers this Fourth of July? Hopefully you know how to use sparklers at America’s 239th birthday now! Do not forget that Wedding Sparklers Outlet can provide you with low smoke sparklers that will be great to use during your Fourth of July celebration.